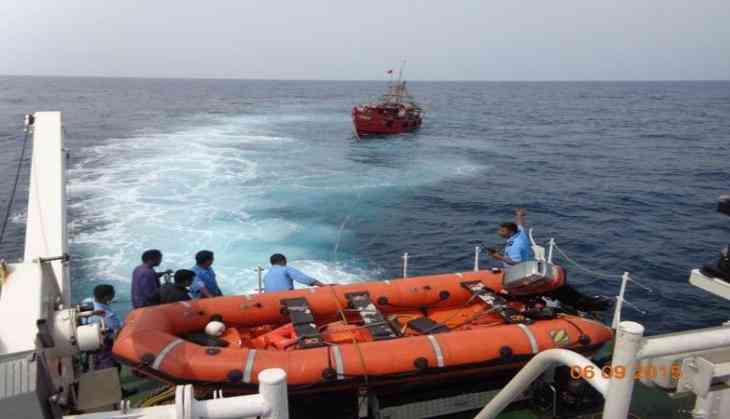 An FIR has been registered under Section 304 of the Indian Penal Code (IPC) in connection with the killing of three fishermen due to a collision between a Panama-based ship and a fishing boat. On 11 June, at least three fishermen were killed after their boat collided with a ship from Panama off the Kochi coast on 11 June. The boat was hit by the ship from Panama, 'Amber', about 20 nautical miles off the Kochi coast. "The Panama-based ship that hit fishing boat is now being brought to Kochi," Police Commissioner M.P. Dinesh told ANI.